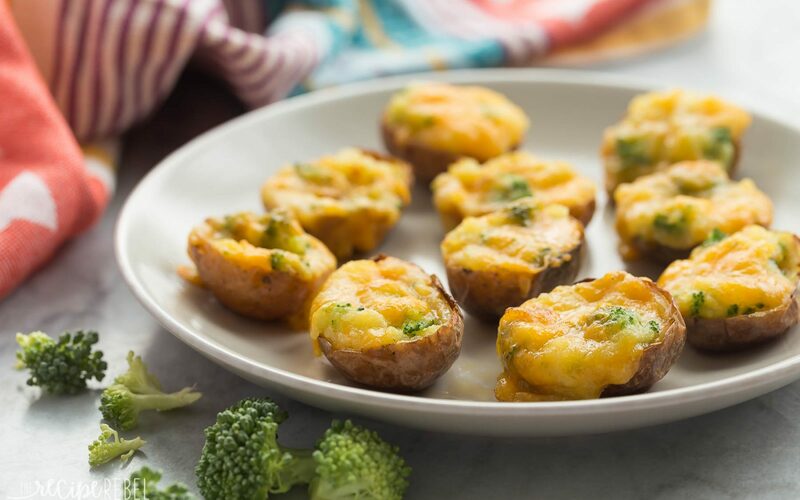 These Broccoli Cheddar Twice Baked Potatoes are bite-sized and make the perfect easy party appetizer! Plus, they’re easy to make ahead! Place potatoes on a baking sheet and bake at 400°F for 30 minutes or until tender. Cool until you’re able to handle them. Sprinkle with remaining 1/4 cup cheese and bake at 400°F for 10 minutes, until heated through and cheese has started to brown. Serve immediately.